Are you looking to find general information about the Caribbean island of Barbados? We have some notes, tips, and hints about the island at Totally Barbados. Beautiful Barbados – What’s Not To Love? — With a population of roughly 280,000 people, Barbados is a small coral limestone island and the most easterly island in the Caribbean. — The total land area of the island measures 166.4 square miles (431 km2) – 21 miles (34 kilometers) in length and 14 miles (23 kilometers) in width. — The highest point in Barbados is Mount Hillaby in the eastern parish of St Andrew. It stands approximately 1 115 feet above sea level, however, in general, the terrain in Barbados is relatively flat. — The tropical climate is pretty much perfect all year round, with average temperatures ranging between 80-86 degrees Fahrenheit (27-30 degrees Celsius) and 70 – 76% humidity. — Barbados’ native language is British English, however Bajan dialect is spoken freely island-wide and often seems like a language all of its own. Rest assured, it won’t take long to pick it up, and you’ll be speaking like a local in no time! — The Barbadian dollar is pegged to the US dollar at a rate of BBD$1.98 is equal to US$1.00, and you’ll find most places accept both US and Barbadian dollars. Regarding banking, most banks are open from 8 am to 3 pm Monday through Thursday and from 8 am to 5 pm on Fridays. However, it’s always best to check with each bank to avoid any disappointment. There are also multiple ATM/ABM machines island-wide and most hotels and restaurants accept all major credit cards such as Visa, MasterCard, American Express, and Diners Club. TIPS: It is worth noting that the electricity in Barbados is 110 volts/50 cycles and most hotels provide adapters for European or Asian appliances. North American devices do not need adapters. A large selection of airlines flies into Barbados with both regional as well as international services to the island. Barbados is easily accessible from just about all major American gateways, as well as from countries outside the US, including Canada, the UK, and Germany, amongst others. For more information, see and learn more about Flights to Barbados. A valid passport is essential for all persons entering the island. Some foreign nationals also require an approved entry visa to gain permission to enter Barbados. For additional general information, learn more about Immigration Requirements. Note: To confirm if you require an entry visa to travel to Barbados, please check the drop-down box at the bottom of this page www.immigration.gov.bb/pages/Visa_Requirements.aspx, and it will display your specific visa requirements. Another important consideration in your preparations is where you will stay on the island. Barbados is home to a wide range of hotels and accommodation, ranging from all-inclusive resorts to guesthouses, luxurious villas and hotels, to less expensive apartments and budget accommodation. Don’t know where to find suitable accommodation? We recommend you check out Accommodation Local Places and Listing to get you started. It’s effortless to get around in Barbados. There are several public transport options including big blue government-owned Transport Board buses, yellow privately-owned smaller minibusses, privately-owned white ZR vans, and taxis. HINTS: The taxis in Barbados are not metered, so it’s essential you establish a rate with the driver up front, before traveling anywhere. There are also multiple rental car companies all over the island. 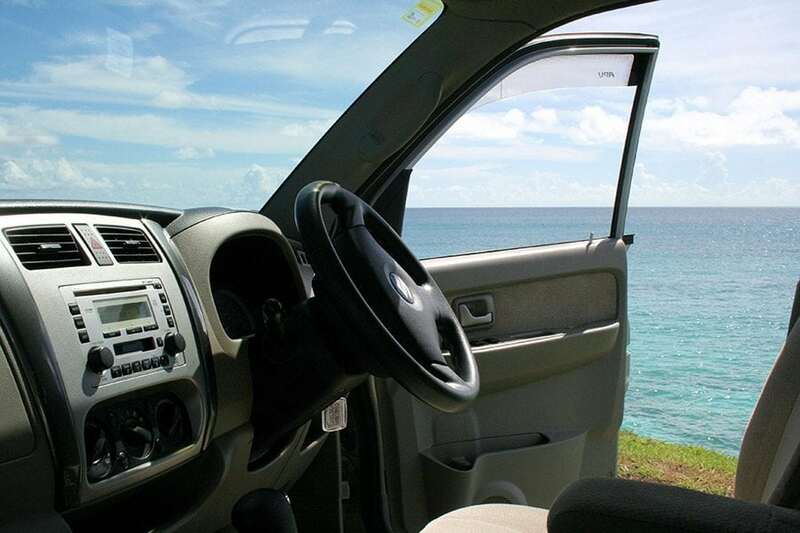 A short-term visitor’s driving license costs a mere BBD$10.00 and is available from the Licensing Authority in Oistins, rental car companies, or at the airport. NOTES: You can also pick up a long-term visitor’s driving permit (valid for one full year) at the cost of BBD 100. If shopping is your thing, Barbados offers extensive duty-free shopping to its visitors. You need only produce your passport/travel documents and airline ticket for the tax-free privilege. TIPS: Certain items cannot be purchased duty-free – it’s best to check before you are buying to avoid any confusion. Barbados also has an extensive cuisine selection, including our very own local Bajan cooking style, strongly influenced by both African and European dishes. Barbados’ national dish is flying fish and cou-cou, a definite must try for all visitors to the island! Restaurants across the island range from relaxed and casual (even side of the road food vans and stalls), all the way up to 5 star sophisticated fine dining. Not sure which one to try first? For a listing of restaurants in Barbados, see our Places to Eat, Restaurant and Dining Guide. After dinner, the thriving nightlife of Barbados tends to beckon both locals and visitors alike. Popular nightclubs and bars on the island include The Boatyard and Harbour Lights, both just outside of Bridgetown, the main drag of the bustling St. Lawrence Gap on the south coast, and Red Door Lounge on the west coast, just to name a few. Barbados’ rich culture can be experienced at some other different kinds of locations such as The Plantation Theatre, who offer a Bajan Roots and Rhythms Dinner Show, as well as the infamous Friday night Oistins Fish Fry. Either way, you’re sure to get your dose of local action and make a few friends in the process! NOTES: Music, dancing, steel bands and cabaret shows are also offered at some hotels, so there’s no shortage of entertainment on offer on this small island paradise. Still, Need More Tips and Hints for General Information about Barbados? Barbados also has a large and diverse arts community. Local art can be viewed and purchased at some beautiful local art galleries all over the island. For a listing of some local artists and galleries, please see our Arts and Galleries Guide. Small island, big heart – come and see for yourself!